A specific goal: players need to know what they are trying to accomplish. Rules: Players need to know how to play the game. A feedback system: something that lets players know how they are doing as they play the game. Voluntary participation: those playing the game are aware and willing to play the game. Consider these four things and reflect on your favorite game, whether it’s a card game, board game, or video game. Imagine that game and how these four rules apply. Then, think about what you do in your classroom and use these same rules. Rule 4 may take some different thinking, but if your students are aware they are playing a game as part of the learning process, it takes on a different meaning. Now, consider some of the things that keep you coming back to your favorite game. Those things that keep you coming back, those are the mechanics of the game. Game mechanics help to flesh out and give life to the rules as defined above. Keep in mind, some of the games we play require a single winner, while others require a more cooperative spirit of play. In fact, creating a game in your class that utilizes too much emphasis on winning and losing can have a negative impact on some students. It is essential to consider a variety of mechanics to ensure that all of your students have an opportunity to achieve in ways that are meaningful to them. Yu-kai Chou goes into more detail when he talks about Octalysis, his gamification framework. By combining gaming mechanics from all of the different core drives, you can create an environment where your students are excited to come to your class every day. The Octalysis Framework also breaks down the gaming mechanics into intrinsic and extrinsic motivation. Motivation will be covered in a future post. There is much more to gamification than “points, badges, and leaderboards” (Chou). Leaderboards – These are what they sound like they are. A visual representation of who has done/earned the most points. Leaderboards are not a representation of a grade. You could put anything on a leaderboard: the number of books read, the amount of trash picked up, the number of times help has been offered to the teacher or another student. Experience Points – Experience points (XP) are the grade in a gamified classroom. XP count up from zero, just like how you earn your score in Pac-Man. You can still grade the way you have always graded, but with a slight twist. Don’t take points off when grading a test. Add points up. Leveling Up – In games, when a player levels up, there are usually new items/perks/powers that become available for use. In your classroom, as students demonstrate mastery of your subject, this could be some freedom in how the students can show what they have learned. Instead of the book work, it could be creating an infographic of the information they need to understand. Students could also have opportunities to earn special perks that are only available after completing a specific mission (unit of learning). Avatars – Similar to the James Cameron movie, avatars are representations that are created by the player. The fourth-grade team at my daughter’s school has each student create their avatar during the first week of school, and this image is displayed in the hallway next to the student work. Badges – Badges represent an accomplishment or achievement. It is essential to not give a badge for every single thing that happens in your classroom. Offer badges after completing specific missions (units of learning), quests (class assignments), or boss fights (tests). Consider other ways that students could earn badges. What do students need to be recognized for in your classroom? Offer a badge for that. Choice – Video games, board games, athletic games, card games – all of these offer several opportunities for the player during the game. Offer students two or three different ways to complete an assignment. Give students an assignment menu and let them choose an appetizer, main dish, and dessert. As you begin this journey limit the choices that are offered, as you and your students become more comfortable, expand the options for your students. Failure – Gamers expect to fail; they know that they will resume their game from a specific point and be able to start again. Knowing that there is no punishment for failing, gamers will often try something risky to see if it works or to get an idea of where the enemies are located, or how the traps are set up. In your classroom, this could be similar to a student failing a test. They arrange a time with you to come in and have a redo. In my class, failing was any grade less than 80%. Perks – Video gamers love to get perks. These are extra little things that players earn/buy along the way that make the game fun and provide a small advantage over their opponents. For your students, think about those things they would love to have in class. A homework pass, quiz redo, headphones, technology day, bathroom pass, work with a classmate on a boss fight (test), ask the teacher a question on a boss fight. For the younger students, it could be no shoes while in the classroom, lunch with the teacher, or the coveted soda from the teachers’ lounge. Whatever your students are interested in – that is the perk. Loot – Loot shows up all through a game and can provide the player with the means to upgrade equipment. Loot is found, not earned/purchased like a perk. How could loot work? After students complete a quiz/boss fight, roll two dice. Loot that is not valuable could be numbered 6-8, while valuable loot could only be discovered by throwing a “2” or a “12”. Be creative here, some of these could be similar to what you would offer as a perk, but remember that loot is discovered, a perk is not. Economy – Allow students to earn spendable money/points/currency. The money/points/currency can then be used to buy a perk. Students can earn currency by doing what they are supposed to be doing: completing assignments, mastering quizzes, and beating the boss. Remember, the more valuable the perk, the more it should cost. A homework pass would be less expensive than working as a group on a test. You can create a spreadsheet and easily track how much currency students have. Don’t be intimated with the 150 students you are teaching next year, use Google Forms to track how much currency your students have earned. Timer – Offer up some something special, but put a timer on it. Make this “something” an opportunity to complement what is happening in the classroom. When students accomplish this particular task, offer them a cool perk. Random/Sudden Rewards – Now and then, a reward shows up for the player. Random/sudden rewards are infrequent and unplanned. Have a number of the day/week/month and keep “the thing” that students will earn to yourself. Roll a couple of dice; if they show the number, everyone gets “the thing” otherwise nothing to see here. Rolling the dice will build anticipation at the beginning of each day/week/month. Group Quests – In games like World of Warcraft, participants will often work together to overcome a particular obstacle. In fact, it may be impossible to overcome a specific obstacle unless there is a group working together. Once a month, offer a unique quest (assignment) that must be completed by working together in a group. Think about group projects here. Most group projects complement the teaching/learning that is occurring in your classroom. Side Quests – These are quests (assignments) that are not entirely in line with the lesson that is being taught. However, a student choosing to participate in a side quest will be complementing what is happening in the classroom. If a student decided to do nothing but side quests, they should still be able to meet the learning objectives for the original mission (unit of learning). Their learning would follow a different path. Socializing – A significant aspect of games is the opportunity to socialize while playing. Sometimes this is all that a gamer is wanting to do. Some players are not socializers and prefer to go it alone, allow them that option when possible. Instant Feedback – All games give instant feedback. Every single one. Instant feedback can be a challenge in the classroom, but once you have started to use some of the different gaming mechanics, you will be able to provide feedback quicker than you think. In my classroom, bulk grading vanished. I was grading three or four things at a time multiple times during a class period. It was much easier to grade three boss fights (tests) than 120; I was able to give more students better feedback. Narrative – Using a compelling narrative can drive the way your game develops in the classroom. Students are no longer taking history, they are becoming future prime ministers and presidents and to be effective, these students must understand the history of the various countries. 4th graders are no longer a student in your class; they are working on becoming world explorers and master artifact finders. How? The narrative you create can guide all of the mechanics you choose to use. Next Post – What is Flow and why is it important? Chou, Y. (2016). 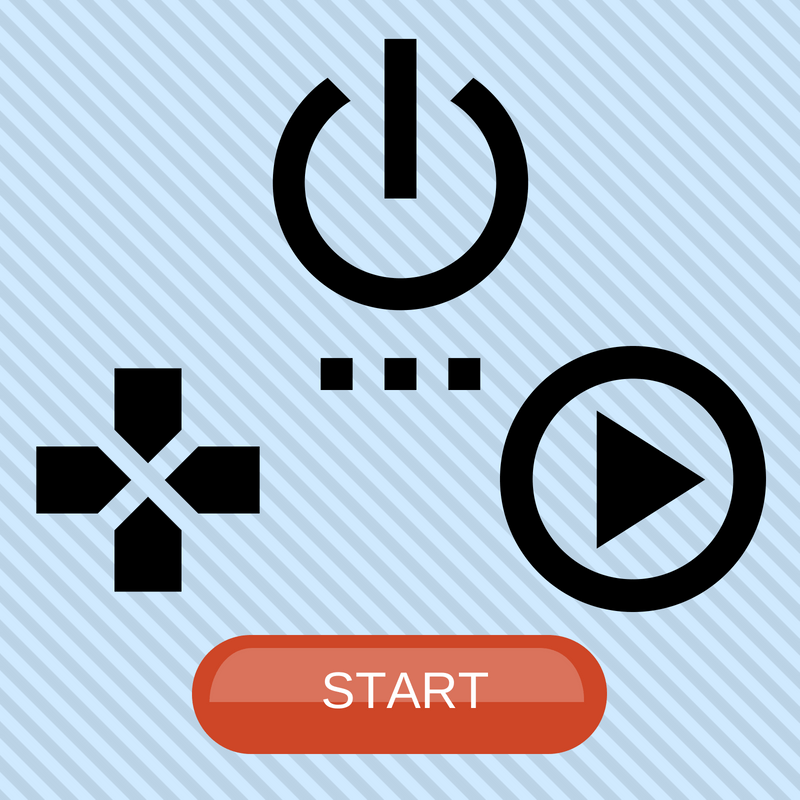 Actionable Gamification: Beyond Points, Badges, and Leaderboards. Fremont, California: Octalysis Media. McGonigal, J. (2011). Reality is Broken: Why Games Make Us Better and How They Can Change the World. New York, New York: The Penguin Press. One Response to "Gamification – What Are Gaming Mechanics"